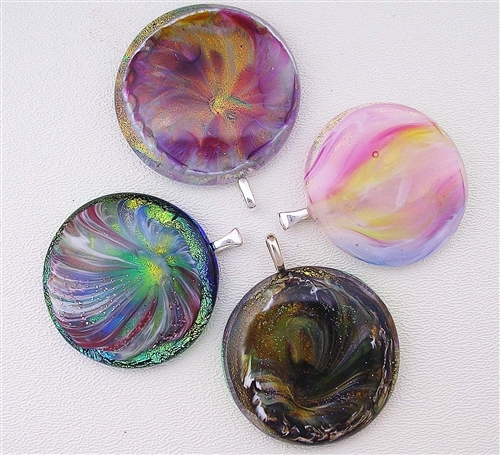 Our pendants are created by a process we have developed involving both blowing and fusing with dichroic glass. You will see a diverse depth in color and texture not achieved by other methods of pendant creation. Please take a look. Each piece is unique and cannot be replicated.